Getting to know the leagues, teams, players, and fans is critical to success. Esports is emerging victorious over stereotypes about its players and fans and enticing non-endemic brands to tap into its innovative platforms and massive audiences. It’s no longer just hardware makers and energy drinks testing the multibillion-dollar industry. 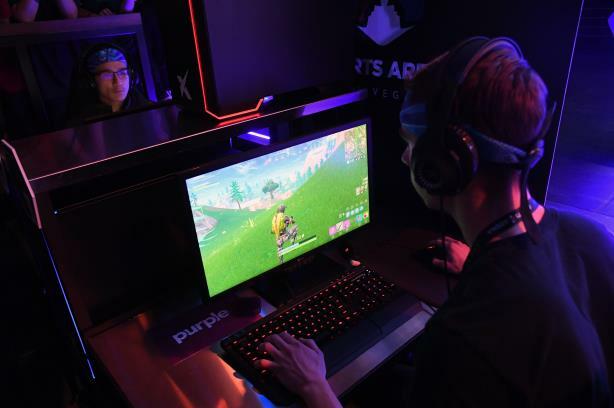 Telecommunications, insurance, CPG, and other mainstream brands are embracing esports as the space models itself on traditional sports leagues. "When you talk about these non-endemic brands getting into esports for first time, it’s coming along with the franchising push," says Nicole Carpenter, a Dot eSports reporter who covers Overwatch, a game produced by Activision Blizzard. "Fans are willing to spend money on brands that are involved in the teams they love." Franchising has been a turning point for the nascent esports space. Previously, instability and scandals drove away investors and advertisers, but last year, Riot Games, the developer behind League of Legends, and Activision Blizzard introduced franchising into their leagues, attracting investors and sports figures who could pay hefty fees. In its inaugural year, Activision Blizzard’s Overwatch League secured sponsorship deals with HP, Intel, Toyota, Sour Patch Kids, and T-Mobile. Original sponsors HP and Intel reportedly signed two-year deals for $17 million and $10 million, respectively. Just this week, Morgan Stanley upped its valuation of Activision Blizzard’s esports business to $12.9 billion from $8.6 billion. It noted OWL’s large audience, two times larger than anticipated, the possibility of a Call of Duty league, and the Supreme Court’s decision to allow states to legalize gambling on sports in its valuation. However, while analysts cited esports’ young, affluent, and global audience, the investment bank also noted OWL’s lower-than-anticipated sponsorship revenue. Rick French, CEO of French/West/Vaughan, says the space isn’t right for companies that aren’t multinational or don’t sell appropriate products, such as automobiles or wine and spirits. "It’s an opportunity to build brand affinity, and brands are looking at that, but some haven’t made the plunge yet," he explains. However, Jason Teitler, chair of fan experience and MD of consumer brand and marketing at Burson Cohn & Wolfe, compares the situation to the first days of action sports and the X Games. "There were brands that were organic to that space, then there were others who sat on the sidelines," he says. "Those brands eventually came off the sidelines when they got all proof points they needed to justify the spend and activity from an earned perspective." Jerry Griffin, managing partner at B/HI, notes that PR pros need to look for connections between the esports world and brands. "What if a beauty brand or an outdoor apparel brand are thinking about esports, but they don’t think there’s a touch point and there no synergy there?" Griffin says. "Those connections exist. You just have to look for them." Microsoft partnered with the Immortals, an esports team based in Los Angeles, to target students and minority communities in gaming to increase access to esports. Meanwhile, K-Swiss is designing a pair of sneakers just for the team. Other brands are delving into this space with content made for virality and meming, such as Dr. Pepper, a Ketchum client. "These fans are particularly fickle," says Patrick Wixted, VP and client services director of Ketchum Sports & Entertainment. "They’re brand loyal, but if you don’t come correct with authenticity, it won’t be successful." Jen Neale, manager of PR and comms at Immortals, gives this tip to fellow comms pros: embrace the meme. Esports has its own culture within each of the games. To get a sense of this hyper-engaged audience, look no further than Twitch, the dominant livestream platform in esports. Fans can make donations to players through Twitch along with a message to request the player perform something, voice their support, or to troll them, giving players and fans an unfiltered line of communication. The platform also includes Twitch Chat, where hundreds or thousands of messages cascade each minute. However, it can turn into a mosh pit of heckles, cheers, and bullying. "We had a memeable moment with one of our [Valiant] players," she says. "It just kind of grew into this monster. It’s bated down, but you have to take a step back and realize what you’re putting out and how an audience is going to react to it." Immortals creates a web video series called Inside LA Valiant. Immortals CEO Noah Winston took Agility, one of Valiant’s secondary roster players, to In-n-Out Burger and gave him a pep talk in a car while it was raining at night. "He was basically telling him, ‘This is your shot, this is your last chance to make the main roster of our Overwatch team.’ It just exploded," Neale says. The video inspired a meme and competitor Philadelphia Fusion jumped at the chance to produce its own parody video. After the initial shock, Neale says the team "leaned into it" and created another video mocking themselves. Esports has a charitable side, as well, with members of the community raising millions of dollars for organizations such as St. Jude’s Hospital. When one fan mistakenly donated $500 to Tyler "Ninja" Blevins, the most popular Twitch streamer by follower count, he gave the money back. His fans then memed the reneged donation and paid back Ninja many times over. Other professional esports teams and players produce vlog content on their own channels, giving fans a look at their daily lives. When Ninja appeared on CNBC in March, one cohost asked, "Why do people want to watch you play? Just like traditional sports, fans watch for the human story. "If [basketball star] Lebron [James] signs a multimillion-dollar contract, that’s interesting," says Nicola Piggott, cofounder of specialist firm Story Mob and former esports comms lead for Riot Games. "But equally you want to know his journey, if he’s making a comeback or facing a struggle. Those are the stories everyone can understand, whether or not you follow the sport. That’s what we try to do with our team-based clients and arguably, brands. We try to forge that emotional connection."